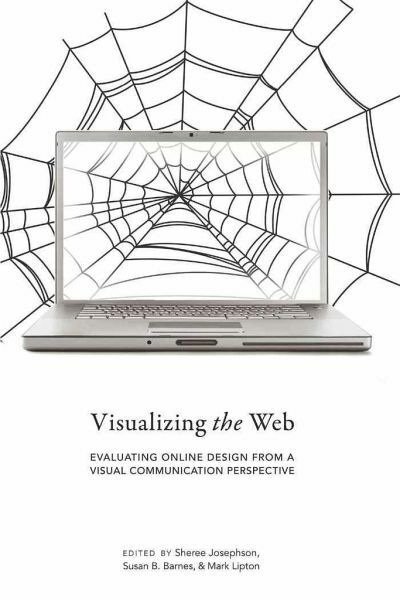 This book analyzes Web page design from a visual communication perspective. Visual communication is an emerging field which draws on numerous disciplines concerned with the creation, perception, and interpretation of visual messages. The transdisciplinary nature of the field allows us to see the sites examined from new visual vantage points - metaphorical, cultural, and rhetorical; cognitive, perceptive, and evaluative. 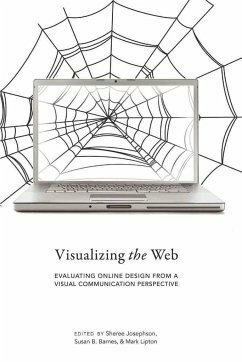 With an introduction and eight essays by visual communication scholars, the book also includes an insightful interview with Hillman Curtis, one of the foremost Web page designers in the world. Sheree Josephson is a noted eye-tracking researcher who has studied how people process visual information on the Web, on television, and in print. She has published several book chapters and numerous scholarly articles. She is a full professor in the Department of Communication at Weber State University in Ogden, Utah. Susan B. Barnes is a full professor in the College of Liberal Arts and Associate Director of the Lab for Social Computing at the Rochester Institute of Technology. She is the author or editor of several books, and has written numerous articles and book chapters about the Internet, human relationships, and visual communication. Mark Lipton is an associate professor in the College of Arts at the University of Guelph. His current work with the Media Education Project considers how Canadian teachers engage with media and information and communication technologies in the classroom, to assess how ICTs function within a broader context of teaching and learning. Contents: Sheree Josephson/Susan B. Barnes/Mark Lipton: Introduction - Sally Gill: From Page to Screen and Beyond: The Evolution of Web Metaphors and Their Impact on Communication Design - Susanna Paasonen: Something New, Something Old, Something Borrowed: Web Pages and Visual Culture - Valerie V. Peterson: An Elemental Approach to Web Site Visuals - Craig Baehr: Thinking Visually: Heuristics for Web Site Analysis and Design - Sheree Josephson: Using Eye Tracking to See How Viewers Process Visual Information in Cyberspace - Roxanne O'Connell: Web Site Usability: Tips, Techniques, and Methods - Ulla Bunz/Juliann Cortese: How Do Users Evaluate Web Sites? - Susan B. Barnes: Visual Evaluation of the World Wide Web - Amanda Carlson/Sheree Josephson: Epilogue: An Interview with Hillman Curtis.